In the wake of Rush's final tour, Sun Dogs formed with the goal of reproducing the sounds of rock's finest Canadian trio. Mark Schenker of multi-platinum selling recording and touring artist KIX takes on many roles, including bass, lead vocals, keyboards and bass pedals. Andy Rabin handles the guitars and bass pedals, and even chimes in with some backing vocals. On drums and all things that can be hit with a drum stick, from drum triggers to a MalletKAT, is Vince Tricarico. 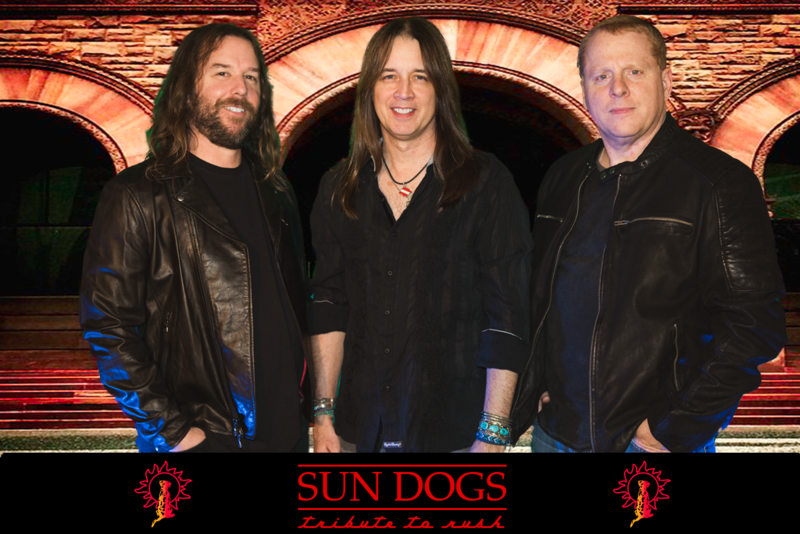 Catch the band when they visit your area and experience nearly 40 years of Rush's great music with Sun Dogs!